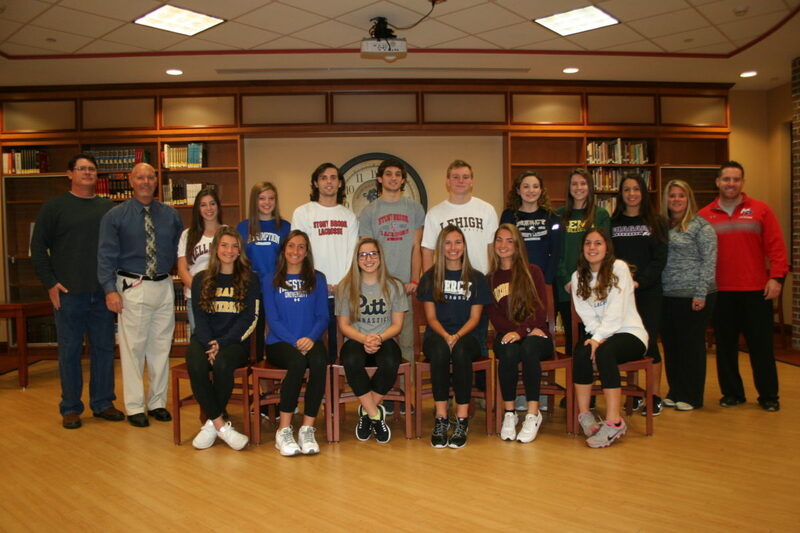 The Miller Place School District recently celebrated the athletic and academic accomplishments of 14 students from Miller Place High School as they signed National Letters of Intent, identifying the college they will be attending and playing sports on the collegiate level. Athletic coaches from throughout the District joined the student-athletes, who were wearing shirts emblazoned with their respective colleges’ logos, as they officially made their individual college decision. The schools students will be attending include Stony Brook University, University of Pittsburgh, Lehigh University, Mercy College and Arizona State University, as well as several others.